Renovating your bathroom is always an adventure! However, it can sometimes be a long and complicated process which may be more frustrating than exciting. For any renovation to be successful, you need to make sure that you have the right people to do the job. Just any old tradesman may not get the finished product you wanted, or worse, may destroy your bathroom! You need a professional and effective bathroom designer and renovator! For the bathroom you have always desired, The Brisbane Bathroom Company is the place to go. Our experienced team of renovators has been professionally trained to get the best out of any bathroom. 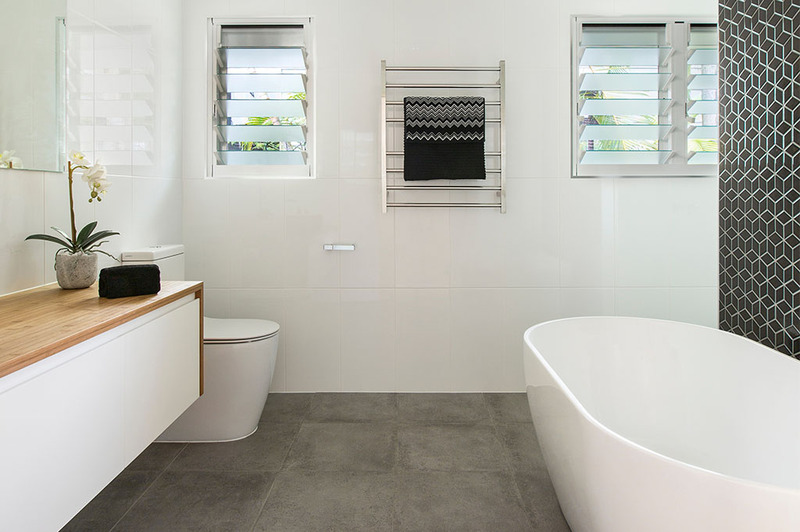 With more than 50 years of combined experience in bathroom renovations Brisbane, we are willing to listen to your ideas and thoughts because our aim is to produce a result that goes beyond your expectations! We offer excellence, experience and commitment to every job and project that we undertake. Before any fixtures are changed or any tiles laid down, the project must be carefully planned and the cost counted. A designer from our company will happily inspect the chosen room, attentively listening to your ideas. Getting to know your personality, they will be able to draw up a number of different plans for you to choose from. We will make sure that we stick to the budget and get the job done on time. For more information about our Brisbane’s bathroom renovation services, please feel free to contact us. Our willingness to listen to our customers, coupled together with our experience and understanding of the trade, means that we get every job done right the first time round! Our keen attention to detail and design means that we can produce an astounding quality of workmanship that will guarantee customer satisfaction. Hire an experienced Brisbane Bathroom Designer today! When it comes to choosing bathroom renovation Brisbane, don’t just hire the first tradesman you see! Call The Brisbane Bathroom Company – Multi Award winners, including 2016 HIA Renovated Bathroom under $20,000, KBDi 2017 Queensland Bathroom Award and runners up for the KBDi 2017 Queensland Bathroom Designer of the Year Award! Then feel free to sit back and watch as your dream bathroom comes to life! Check Out Bathroom Renovation Cost! Michael and David have renovated five bathrooms in two houses for us. They are reliable, honest, creative, and trustworthy. The quality of their work is extremely high and they readily listened to our ideas instead of trying to do what would be the easiest or cheapest option for them. These are two tradesmen you can trust to do the job right the first time. If we had another bathroom to renovate, The Brisbane Bathroom Company would be on the job. Cannot recommend them enough. We utilised the services of Michael and Dave from The Brisbane Bathroom Company to completely renovate our two bathrooms. We are extremely happy with the finished product and the overall process. We found both Michael and Dave to be very professional and courteous and really listened to our needs. They always turned up on time, kept us informed all the way and were very approachable throughout the entire job. The job was started the day they said and completed on time. Great job boys. Strongly recommend their services to anyone (and have since had them renovate one of our friend’s places with the same excellent results). Michael and Christine – Norman Park. When looking for someone to do our bathrooms and laundry, we really wanted to find a company where we worked directly with the people who would be doing the actual work. Dave and Mike immediately impressed as being keen to give us what we wanted rather than trying to convince us to have what they thought we should have. Over the three or so months we worked with them they were always a delight to have around. Their experience was invaluable when it came to ideas and problem solving and they worked tirelessly to get us a great result! Just a quick thank you for the marvelous job your company did in renovating our main bathroom and two separate toilets. My wife and I both thought it would be a ‘typical’ renovation headache – full of angst and compromise but you guys actually made it pleasurable! I looked forward every day coming home from work to check out the transformation from a tired, dated bathroom to a modern and functional one. Double vanity, double showers, tastefully tiled and accessorised. Your suggestions on layout, design and product selection was spot on. You really know your business! We would have NO hesitation in recommending your company to any customer wishing a top quality service with a sincere smile from a most professional team. Thank you for an excellent job in renovating our bathroom. You and your tradesmen were helpful, punctual and completed the job in an efficient and professional manner. We would have no hesitation in recommending your company. We have moved and renovated the wet areas of our two storey Ormiston home prior to renting it – master bedroom en-suite, upstairs bathroom, toilet, laundry and complete tiling of the living area and kitchen (all the cupboards recently replaced). These areas had deteriorated badly due to water damage. We contracted The Brisbane Bathroom Company to perform these works. I was particularly impressed with Mike and David’s knowledge of the work required and their attention to detail with adding the finishing touches that make the job look great (rather than just good). All visitors who have inspected the new work are similarly impressed. They employ quality tradesmen, and were on the job maintaining continuity so the work was completed promptly without delays – a tribute to their scheduling skills. When I need a similar job to be done, I will not hesitate to use them again. We are extremely happy with the quality craftsmanship and finish of our ensuite and main bathroom renovations. David and Michael are an excellent team, providing professional, prompt and personalised service. I am very happy with the quality of work that The Brisbane Bathroom Company delivers, they where professional and the whole experience was enjoyable. I would absolutely recommend them to do your bathroom you won’t be disappointed. Thanks again. We have had our en-suite and more recently our guest bathroom renovated and we couldn’t be happier with the end results. The whole process was smooth and stress-free; from Helene sharing her knowledge and experience, guiding us through the process of visiting suppliers and making selections, to Michael and David’s thoughtfulness and professionalism throughout the fitting. We would highly recommend Brisbane Bathroom Co. and will certainly use them for our next project. Just to let you know how happy we are with the new ensuite! We will be recommending you to all our family and friends. Thanks again.